Every day, we all use our plumbing system in order to fulfil our daily requirements. If anything goes wrong, it hampers our daily routine to a great extent. Keeping the passion for providing comprehensive plumbing services, we started Sam T's Plumbing & Sewer LLC in 1982 at Oviedo, Fl. We have highly qualified and licensed team of plumbers and technicians. Our experts understand your situation, give first priority to customers, schedule an appointment according to your convenience and provide best services in a very friendly manner. Our plumbers work efficiently and neatly to provide best plumbing services as per industry standards. We have skilled professionals and provide timely and affordable services to our clients. We are highly transparent regarding our services. We always make our clients aware of our rates at the time they enquire for seeking services. Sam T's Plumbing & Sewer LLC starts from the services at the basic level and we don’t stop until our clients are satisfied with our work. Disposal of old and worn out things is done properly so that our clients don’t have to face the ugly piles of waste deposited outside their places. At end of every working day, we clean all the mess and provide our clients with hassle free repairs and plumbing work. From the beginning, we are offering high level and most affordable efficient plumbing services to our customers. We assure you that we will provide complete satisfaction and world class services in plumbing industry. Our steady growth is the result of the commitment we make for providing you with excellent plumbing services. 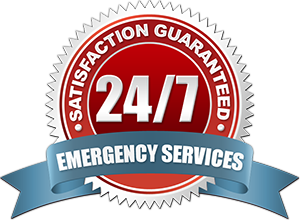 Sam T's Plumbing & Sewer LLC is available 24/7 for our clients.